This information is presented to you by your group on behalf of Johnson Inc. 1595 16th Ave. | Richmond Hill | L4B 3S5. 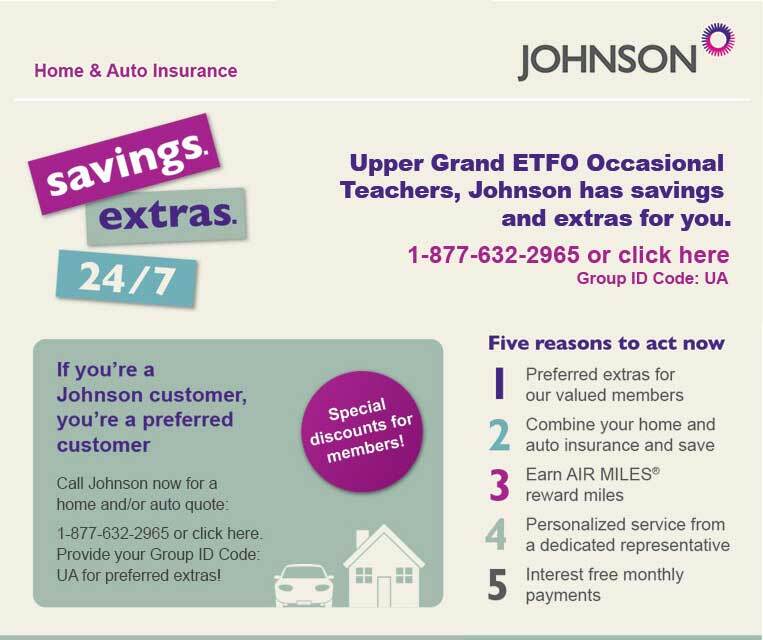 Home and auto insurance is available through Johnson Inc., a licensed insurance intermediary. Policies are primarily underwritten by Unifund Assurance Company (Unifund). Unifund and Johnson Inc. share common ownership. Auto insurance is not available in BC, SK and MB. An alternate plan is available in QC. Availability of certain coverages, advantages or services may vary by province, may be limited to members of sponsor groups, and/or may be subject to an additional charge. Eligibility requirements, limitations and exclusions may apply. AIR MILES® reward miles awarded on regular home and auto insurance policies underwritten by Unifund. At the time the premium is paid, one AIR MILES reward mile is awarded for each $20 in premium (including taxes). AIR MILES reward miles not available in SK, MB or QC. ®™Trademarks of AIR MILES International Trading B.V. Used under license by LoyaltyOne, Inc. and Johnson Inc.(for Unifund).